In the $80 million campaign for Virginia’s open U.S. Senate seat, you probably saw more attack ads than you care to remember. But in the aftermath of Democrat Tim Kaine’s victory over Republican George Allen, let’s consider an attack ad that Virginians never saw. 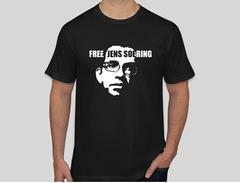 Neither Allen’s campaign nor any of the independent groups that poured millions of dollars into the Senate race made an issue of Jens Soering, the German national convicted of murdering his girlfriend’s parents in Bedford County in 1985. During his final week in the governor’s office in 2010, Kaine consented to a transfer agreement with the Department of Justice and the German government for Soering, who is serving two life sentences in a Virginia prison. 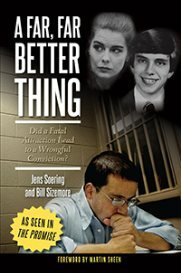 Under the agreement, Soering would have served as little as two years in a German prison before becoming eligible for release. News of the agreement broke on Kaine’s final full day in the governor’s office and several state lawmakers voiced outrage. Gov. Bob McDonnell, the Republican who succeeded Kaine, revoked Virginia’s consent for the transfer shortly after taking office. When he announced his Senate candidacy in April 2011, Kaine calmly answered questions about his decision to give the state’s consent for Soering’s transfer. But the issue seemed certain to become fodder for Kaine’s adversaries. So certain, in fact, that Kaine’s campaign was prepared to be attacked on the issue. A Kaine adviser said Tuesday night that the campaign had a response ad ready to go if Allen or an outside group had gone after Kaine on the Soering issue. Kaine used a similar strategy in his 2005 run for governor, when he responded quickly to an ad attacking his position on the death penalty. But Kaine never really had to return fire over Soering. The issue came up only twice in the Senate campaign, and Allen never initiated it. Even if he had, it may have had little impact in a race that was decided by 5 percentage points (or 188,031 votes, as of this afternoon). Kaine was asked about Soering in his first debate with Allen in December 2011 at the state Capitol. Kaine said he agreed to the transfer only after the Germans “took it upon themselves” to have a trial, convict Soering and guarantee that he would serve at least two years in prison and never return to the United States. Allen, who made parole abolition one of his legacy issues as governor, said at the time that the Soering issue highlighted “a fundamental difference” between the candidates. The only other time the Soering issue came up was over the summer, when Attorney General Ken Cuccinelli said his office had discovered an affidavit signed by Kaine that had been used by Soering’s lawyers in a bid to block Soering’s extradition to the U.S. in the late-1980s. But Kaine’s campaign noted that the affidavit had been drafted for an unrelated case, became a public record, and later was used by Soering’s defense team. That was the last time the Soering controversy got any attention in the campaign.